We’ve got two free icons sets for you today, thanks to Agente Studio, a full-service UX/UI design and mobile/web development agency based in New York and Minsk. 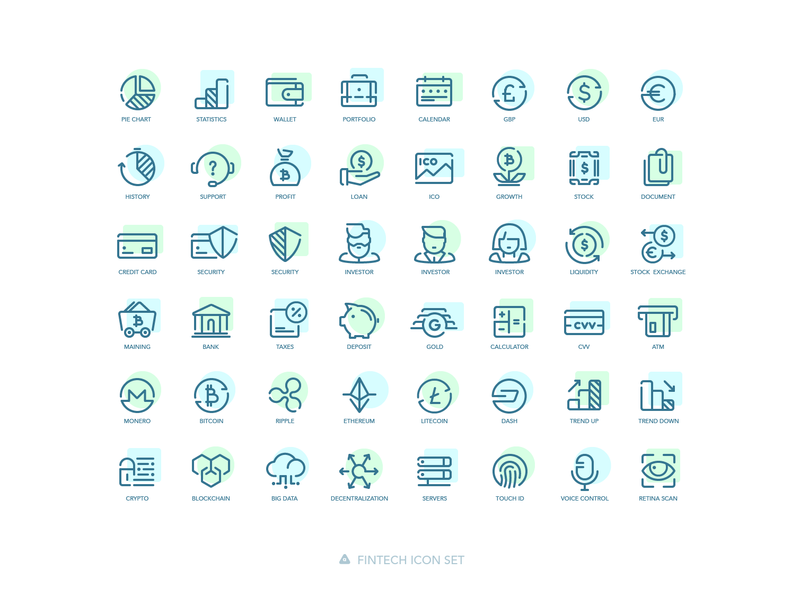 For your Fintech and travel design projects, you’ll find these two free icon sets ultra useful. Fintech has become a buzzword over the past few years. Being driven by blockchain-based projects, the cryptocurrency boom, and other projects and technological breakthroughs, it continues to evolve at a rapid pace. New startups jump on the bandwagon, as they hope to ascend the throne one day. This new icon set in the fintech category. The freebie consists of 48 unique vector icons in two different version (solid and coloured) and provided in Ai file format (Adobe Illustrator), then sliced and exported as EPS, SVG, and PNG. All Agente Studio designers are fond of traveling so they decided to design a set of city icons that can be used by all keen travelers or tourist business representatives or by anyone who lives in those beautiful cities. 10 the most vivid and mesmerizing cities are included in the set. Their main criteria were the presence of a bright visual symbol in a city and its tourist attraction. 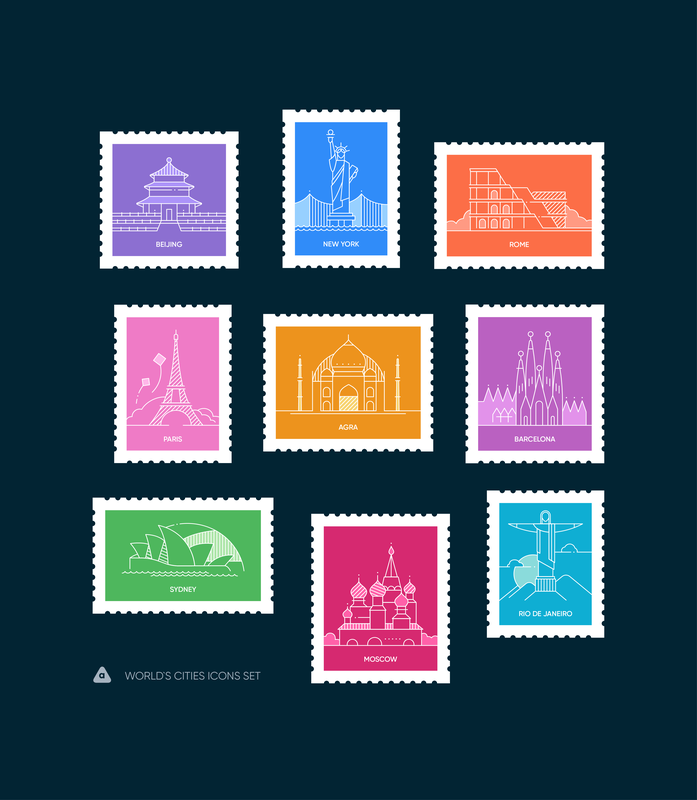 As a result, the set includes such beautiful cities as New York, Sydney, Rome, Beijing, Paris, Agra, London, Rio de Janeiro, Moscow, and Barcelona. They plan to add more cities to the set if it is interesting to the audience.